Beautiful single level home in an ideal location. 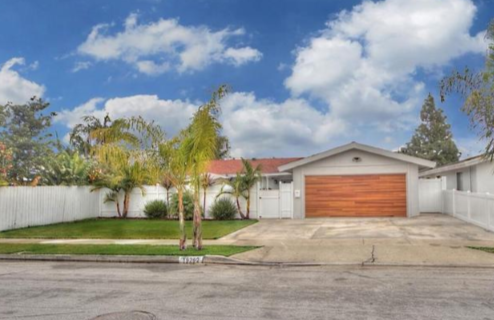 This charming home offers lots of natural light, privacy, and your perfect indoor/outdoor California living. Open floor plan allows for easy entertaining. features traditional, clean upscale upgrades throughout. This remodeled beauty features an open coastal kitchen featuring custom tile backsplash, stainless steel appliances. Additional features include; hardwood floors, dual pane windows, scraped ceilings, recessed lighting, new contemporary doors, AC system, tankless water heater, copper plumbing, custom window coverings, integrated AV system. Both bathrooms have been upgraded with new vanities, fresh paint and tile work. All bedrooms are generous in size, with large closets and ceiling fans. Exterior custom finishes include new modern wood garage door, low-maintenance tropical landscape, oversized 2 car garage with a boat/hobby door to access backyard and includes built-in cabinets and tons of easy access attic storage, epoxy flooring and more. All of this and just a short bike ride to the ocean. Close to shopping, freeways, and walking distance to award winning Oka Elementary school. This one won't last long.